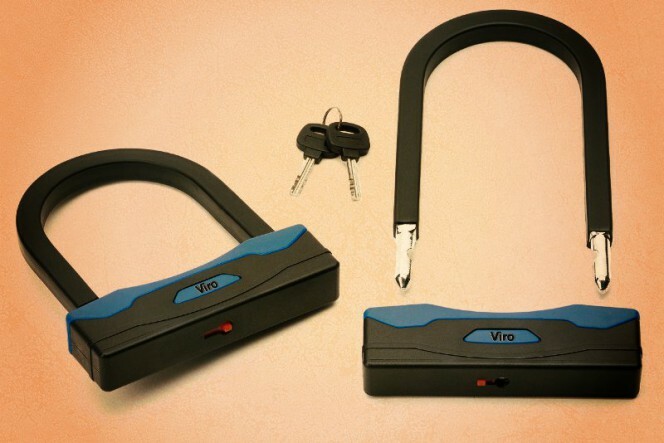 U-locks, also known as blosters, are among the most widely used mechanical anti-theft devices for motorcycles, bicycles and mopeds. They are generally considered to be very secure, perhaps because their massive appearance gives the impression of high strength, but this is true only in part. 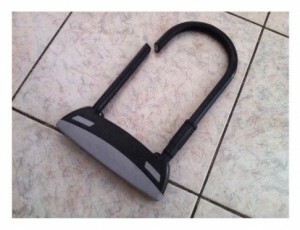 U-locks have certain limitations which are well worth knowing about to make the best use of them. Ease of use. 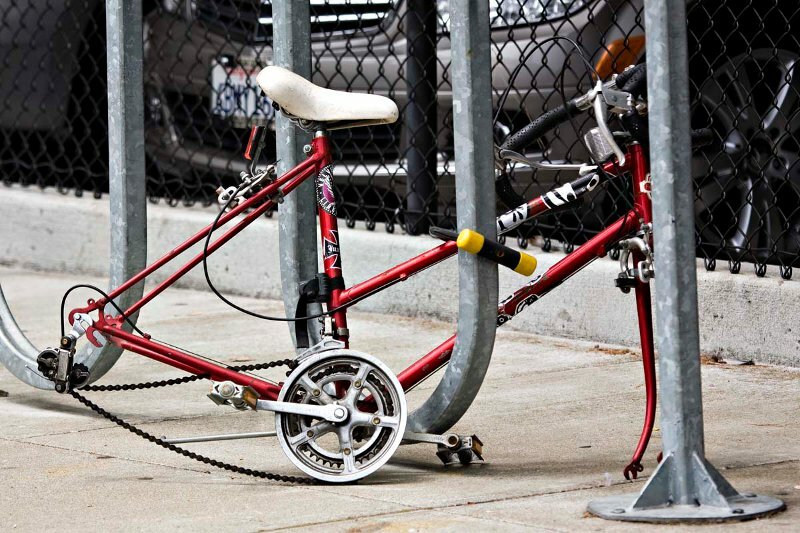 U-locks can be easier to use than a padlock & chain as they are a single piece, and also easier to store, since they are flat and do not have to be rolled up, which is necessary for chains. High cutting resistance. From a security point of view, the strongpoint of U-locks is definitely the high resistance to cutting of the U, due to its large cross-section. But this is only true if the U is made with suitable materials, such as hardened steel, otherwise cutting is relatively simple, despite the size. The best U-locks have the U with a square cross-section, in order to provide even more resistance to chain cutter blades, which are usually designed to cut round sections. 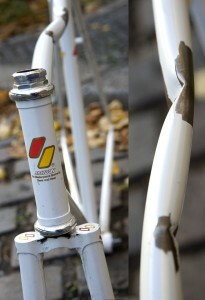 If the materials are unsuitable it is not difficult to cut the U-lock, despite the dimensions. It is difficult to anchor the device a fixed point. Precisely because of their stiffness and limited length it is difficult to secure the device to a fixed point. It is usually possible, with a little effort, for bicycles, if the fixed point is fairly small, such as a pole or railing and if one is satisfied to tie up the bicycles only at one point. But it is much harder and often impossible for motorcycles and mopeds. It is hard to fasten together various parts of the vehicle. When using a mechanical anti-theft device it is always recommended that different parts of the vehicle, such as the wheels and the frame, be fastened together. For the same reasons mentioned above, this operation is difficult when using U-locks on bicycles and almost impossible for motorcycles and mopeds. If one then wanted to fasten different parts of the vehicle together and the vehicle to a fixed point, the difficulties are even greater, and in most cases this operation is physically impossible. The U can be ripped. The very large dimensions, which on the one hand add strength, can become counterproductive since the very fact of leaving wide spaces inside the U actually facilitates the introduction of levers or, even worse, small hydraulic jacks, with which it is easy to rip the U from the body, if the internal mechanisms are not strong enough. Attempts to rip off the U, even when they fail, can irreparably damage the frame. Use good quality products. The first tip, as always, is to buy a good quality product. Making large sized U-locks with suitable materials and internal mechanisms which are sufficient to withstand ripping comes at a cost and one cannot expect to pay less than twenty euros for a product that has good performance. Do not leave open spaces inside the U. U-locks must always be used in such a way to fill the space inside the U as much as possible, in order to make it difficult to introduce levers and especially jacks. Do not let them touch the ground. The same advice that applies to chains also applies to U-locks: if they touch the ground they are much easier to cut with a pair of shears. For this reason it is always a good idea to use them in such a way that they remain suspended. Use them together with a flexible cable. U-locks can be combined with a large-diameter twisted cable used to fasten various parts of the vehicle and/or to anchor the vehicle to a fixed point. 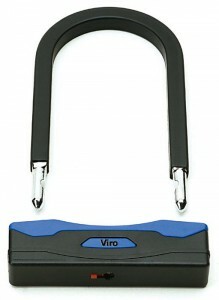 In this case, the U-lock also serves as a lock for the flexible cable. Twisted cables are not the best in terms of strength, but in this case they merely provide further protection in addition to that of the U-lock. Use them to close the wheels of motorcycles and mopeds. 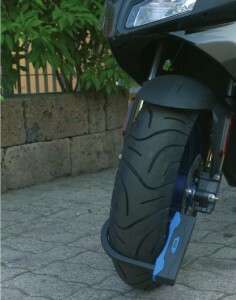 One of the recommended uses for U-locks is for fastening the wheels of motorcycles and mopeds. 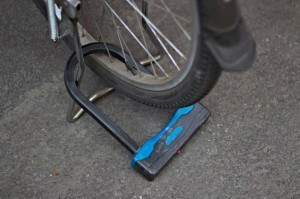 If the size of the U-lock has been selected correctly, it is possible to enclose both the tyre and the rim, leaving very little inside the U. 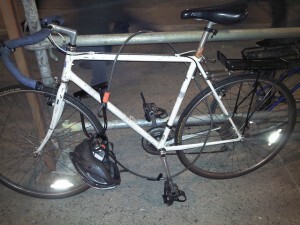 Used in this way the U-lock can be a viable alternative to disk locks: it is just as easy to use, but is much harder to remove. 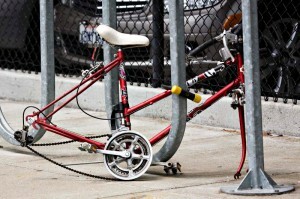 Therefore, if U-locks are chosen and used wisely they can be a great help in protecting our beloved two-wheeled vehicles. And what is your experience with U-locks? Have they served you tirelessly for years? Or have they proven to be useless? Were they able to withstand an attempted theft or has nobody ever dared touch them? Leave us your comments on this type of anti-theft device. This entry was posted in Motorbikes and Bicycles and tagged tips on 8 September 2014 by Mara Rossi.